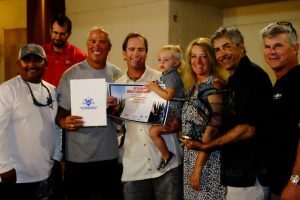 The San Carlos Hammer Down Fishing Tournament will take place October 5 – 7, 2018. The Hammer Down is a wonderful 2 day, no kill, fishing tournament that has been in existence for over 30 years (first as the Cantina Cup, then as the Labor Day Tournament). This year it will take place from Friday, October 5 to Sunday, October 7. It is non-profit and has given thousands of dollars to local charities. 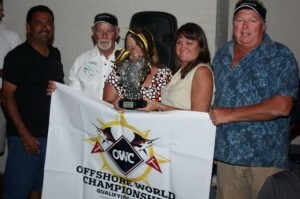 The tournament is a qualifying event for the IGFA Offshore World’s Finals and the winning team will be given an invitation to the 2019 World Championship. The entry fee is $150 USD per angler. There is no boat entry fee. You can register online: register here. You can find the rules and more information here. Friday, October 5. “No Host” Cocktail Party. 5:00pm, San Carlos Yacht Club. Saturday, October 6. Fishing from 7:00am to 4:00pm. Sunday, October 7. Fishing from 7:00am to 3:00pm. And follow the event on Facebook. You’ll be able to follow the results in “Real Time” from the weigh scale on Saturday and Sunday here. 2nd place Pancho Pancho “Rudy Valenzuela” 13.6 lbs. 20 fish were caught. 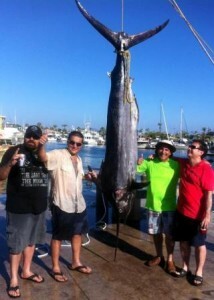 There were no weigh-able dorado and no tuna or wahoo caught. On day 1, 6 Sail and 5 marlin were caught, and on day 2, 3 sail, 5 marlin and 2 blue marlin. 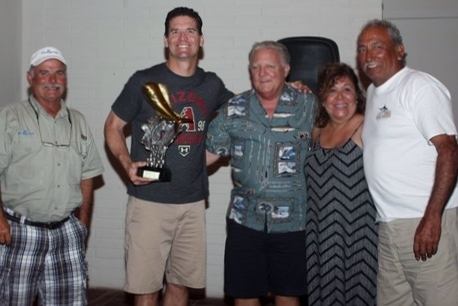 D & D Award: Top Angler, Brad Jones on Telamon with 3 fish. First Place: Telamon (and 1st in 300, 600 & 900 Jackpots) with 3 fish. Second Place: Kryptonite (and 2nd in 300, 600 & 900 Jackpots) with 2 fish. Pictured right by Ian Vowles. Third Place: No Limit (and 3rd in 300 Jackpot) with 2 fish. 3rd: Split between Predator and Telamon. Proceeds donated by Predator and Telamon to Troy and Trent Gillespie Charities. See more photos from the awards dinner here and photos during the tournament here. The ocean is warm in San Carlos, and the fish are here. Arturo was out with a group on Saturday and caught several small dorado and a 220 pound Blue Marlin, according to his estimate. Only one dorado made weight in the annual San Carlos Invitational Labor Day fishing tournament, but it was a 50 pound beast caught by Telamon. There were twelve boats entered, and Rebel had the lead on Day 1 with three releases. It’s All Good had two releases on Day 1, and then caught four on Day 2 to take the lead. Some of the ‘regulars’ turned it on on Day 2. Day 3 saw Telamon mount a massive comeback and the win with eight fish to take home 1st place. It’s All Good and Predator tied with six fish for 2nd place. Behind them were Rebel and Kryptonite with five releases each. Surprisingly, there was some good fishing for water this warm! See all the entrants and results here. Proceeds from the tournament will be donated to local charities. For boat-by-boat stats, click here. 1 Pings/Trackbacks for "San Carlos Hammer Down Tournament: October 5 – 7, 2018"